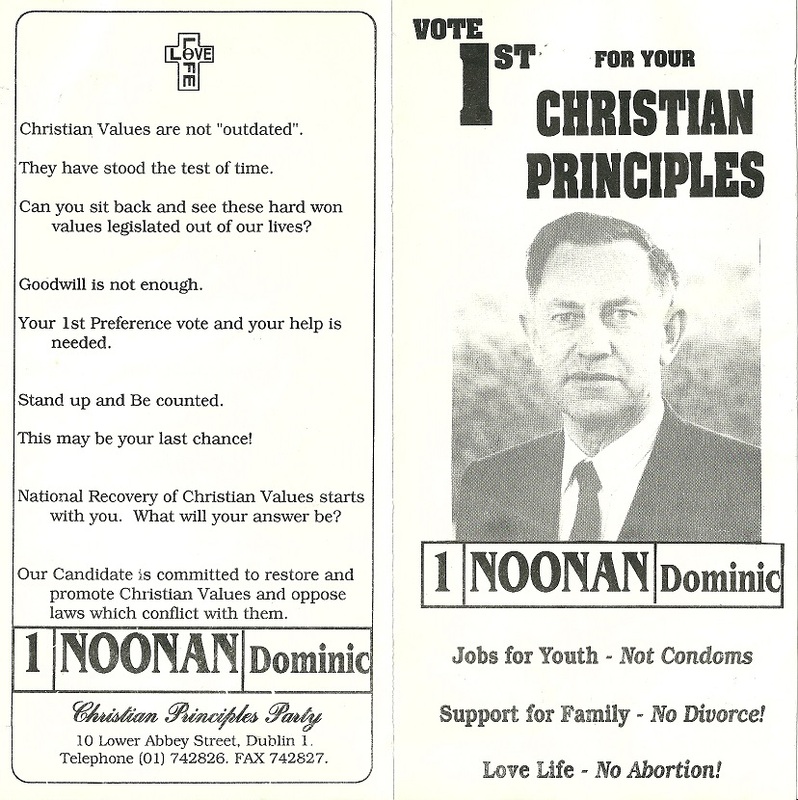 From the 1991 Local Elections a leaflet from Dominic Noonan of The Christian Principles Party who was running in Clontarf. He polled 1.048 votes and missed out on a seat. 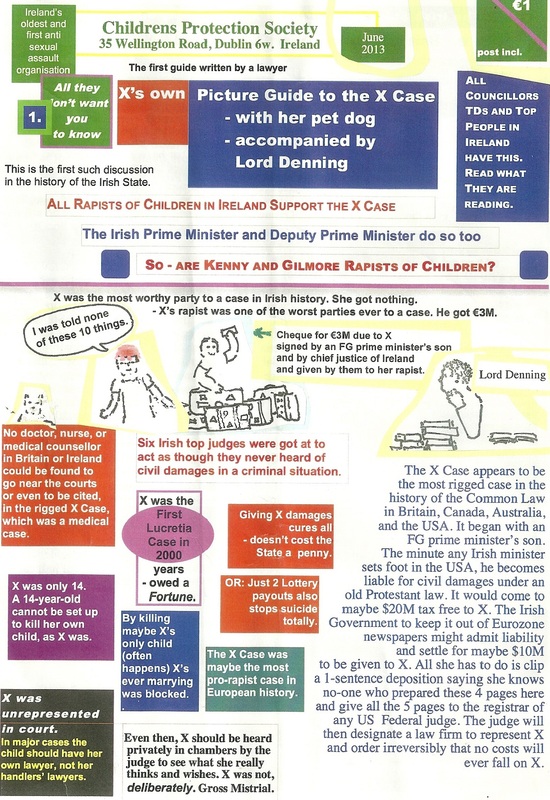 A Rather extreme Pro Life Leaflet from the ‘Childrens Protection Society’ which was recently delivered to TDs and Councillors all over the country. Apologies if anyone is offended but the leaflet illustrates the type of material public representatives have been subjected to in recent times. 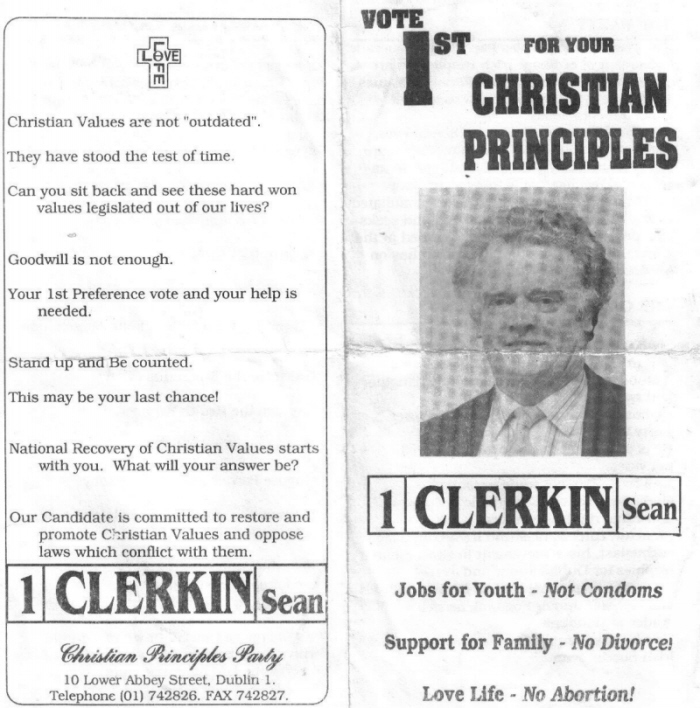 The Christian Principles Party, one of the many ‘Right wing Catholic Parties’ to spring up since Fianna Fail started showing liberal tendencies. This is from the 1991 Local Elections where Sean Clerkin narrowly missed out on winning a seat, polling over 1,000 votes in the Drumcondra ward! ‘Jobs for Youth-Not Condoms’ has to be one of the worst election slogans ever.